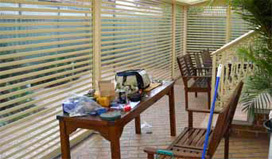 Maverick Mini-view polycarbonate roller shutters are suitable for a wide range of commercial, industrial and domestic applications with either internal or external installations including: shopping centres, shop fronts, counter tops, arcades, servery’s, clubs, doorways, verandas, or any area where visibility is essential whilst providing security against theft or damage from dust and vermin and with the added advantage of the discrete pelmet boxes where headroom is at a minimum. Each individual Mini-view polycarbonate roller shutter can be manufactured up to a width of 4m or a total of 10 square metres. 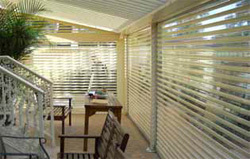 The curtain is manufactured by alternating and interlocking 50mm x 1.5mm clear or tinted UV protected polycarbonate slats with 35mm extruded aluminium slats, in 6063-T5 alloy to form a continues hinge. Each joining slat is fitted with moulded nylon end clips to prevent lateral movement and provide a smooth and quiet operation inside the side guides. 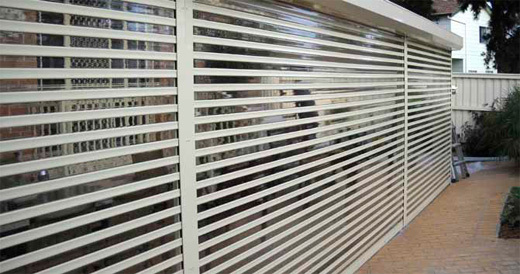 The bottom rail of the shutter is manufactured from an extruded aluminium section 65mm x 10mm which can encase a locking device. Optional heavy duty strengthening bar can be added with sealing strip STD. 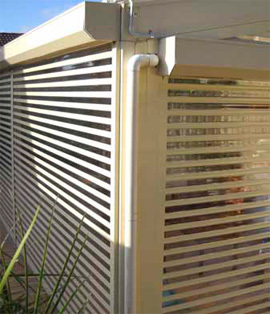 The bottom rail houses a keyed centre lock within the extrusion. This operates 15mm x 2mm aluminium flat bars which, when in the locked position, secure into the side guides on both sides of the opening. The standard locking position allows for double sided lock with operation from both inside and out. Manufactured from slotted 90mm x 40mm mild steel. The guides are manufactured from extruded aluminium sections 53mm deep x 25mm wide, 62mm deep x 25mm wide or Heavy Duty 72mm deep x 25mm wide. Optional felt brush available. All Mini-view polycarbonate roller shutters can be enclosed in a various number of different size pelmet boxes from 150mm up to 250mm. The drum is manufactured from 60mm diameter hexagonal tube and shall be fitted with helical coil springs designed to counterbalance the curtain weight throughout its full operation. Manual operation can be done with a simple hand operated winder or a hand feed strap system. Doors and windows can be electrically motorized with various push button , remote control , key switch or battery back up operation. Powder coated in 4 standard colours. Powder coating in Dulux powder coat range is available.